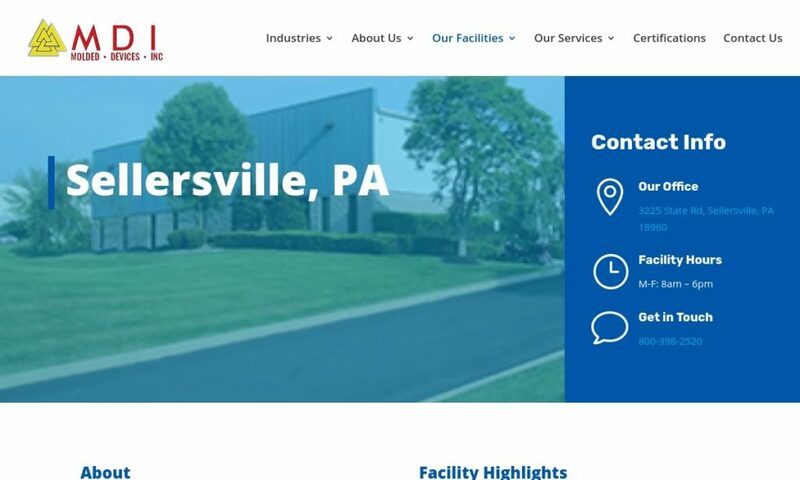 A reliable source for Dip Molded Plastics information and a resource for accessing leading Dip Molded Plastics and suppliers. Dip molding is a process in which plastic components, parts, and products are manufactured by dipping a mold into melted plastic, allowing the mold to set, and removing the mold from the hardened plastic. Manufacturers use dip molding to mold parts for both protective and decorative applications. Manufacturers like dip molding because, depending on the temperature, the dip speed and time, and the rate in which the plastic is removed from the plastisol, they can achieve different wall thicknesses. Plus, dip molding is a highly versatile and cost-efficient way to make sure products have an attractive finish, and reliable protection from the elements. Dip Molded Plastic Dip molding is a process in which plastic components, parts, and products are manufactured by dipping a mold into melted plastic, allowing the mold to set, and removing the mold from the hardened plastic. 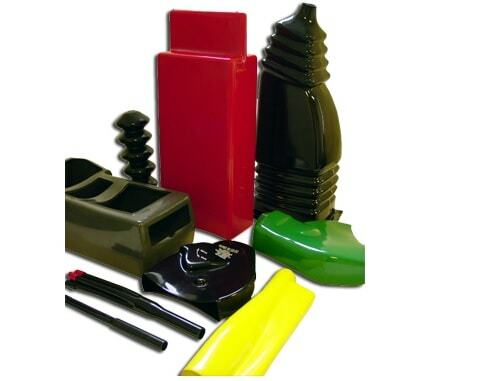 We are plastic experts, and we offer many services for our customers, including dip molding and a whole lot more. No matter who our customers are, we will work our hardest to ensure that you are fully satisfied with our products. Let Precision Dip Coating show you what expert dip molding looks like. We match any color and offer great services to meet your specs for decorative and protective coatings and soft plastic parts. 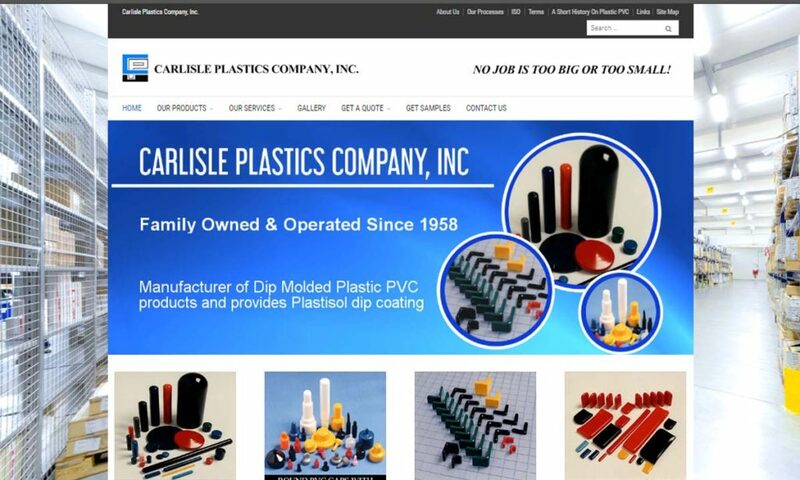 Carlisle Plastics is a dip molding plastics manufacturer offering end caps, plastisol paint masks, thread protectors, tube closures, protective caps and decorative caps. 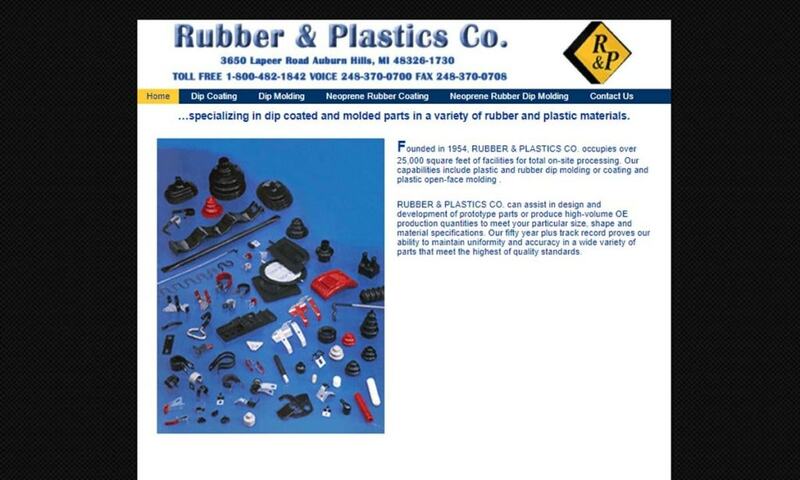 Rubber & Plastics Company has 50 years of experience in manufacturing dip molding with the materials, equipment and flexibility to rapidly prototype. We provide standard and custom designed high-temp paint masks, caps, grips and plugs. 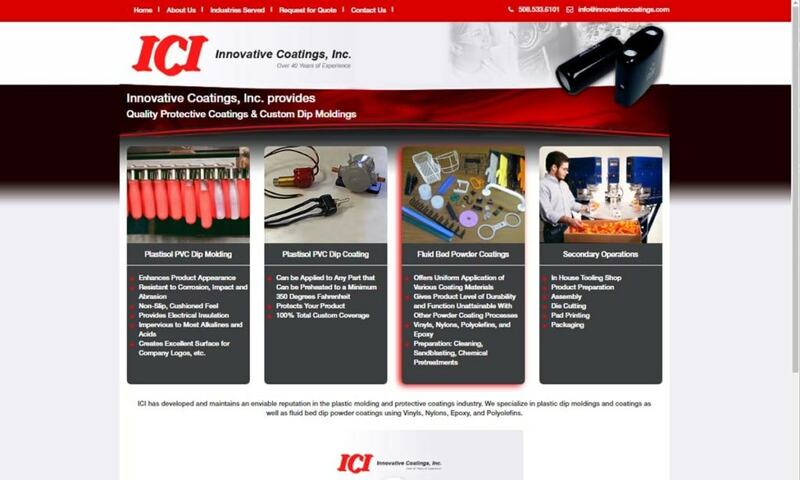 Innovative Coatings is a manufacturer of plastisol dip molding and fluidized bed powder coatings of epoxy, polyolefins, nylon and vinyl. Our dip coatings are of FDA-approved and biomedical grades. 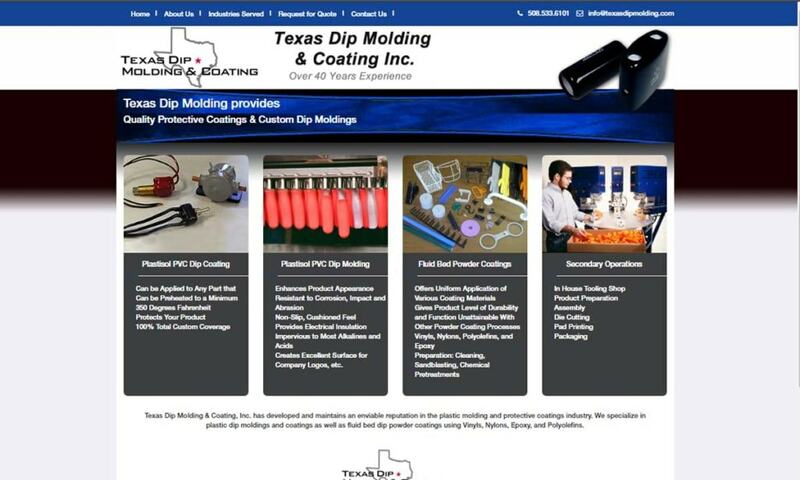 Texas Dip Molding & Coating is known for our high quality custom coating that maximizes strength, hardness, flexibility and durability for parts designed and manufactured in any application. Dip molding has been around in some form another for some time. For example, before the 20th century, artisans used a form of dip molding during hot wax candle creation. However, the practice of modern dip molding didn’t take off until the 1930s in the UK and the USA. What brought on this sudden change was World War II. Manufacturers were churning out plastic polymer parts for the war effort as quickly as possible. When they discovered that, with dip molding, they could mold tool handles, containers and other plastic shapes even faster, they jumped at the process. For much of its existence, plastic dip molding was performed with either a PVC coating or natural latex. This changed in 1993, when the FDA published their findings about Americans and latex allergies. They found that between 2% and 10% of the American population suffered from a latex allergy. With this knowledge, the dip molding industry had to evolve and use new materials. Some of the materials they turned to included: polyurethane, nitrile rubber, SBR (styrene butadiene rubber) and neoprene. (PVC dip molding remained popular.) This announcement also led to the creation of latex-free gloves. Today, plastic molding and plastic dip molding are more popular than ever. Researchers still seek to create more diverse and environmentally-friendly polymer blends, so that they can use dip molding for even more applications. They also seek to make it more efficient and less expensive. The most commonly used materials for dip molding are: plastisol, latex, neoprene, urethane, and epoxy. Plastisol, a vinyl (PVC) compound, is unique, because it is already liquid at room temperature and permanently hardens once exposed to heat. Because it requires less energy to undergo manufacturing, liquid plastisol is the ideal choice of material for the vinyl dip molding process. To protect outdoor applications from the sun’s damaging rays, manufacturers can add an UV coating to a plastisol dip part. Latex as a raw material can be derived from nature, or it can be synthesized. It is known to be non-toxic and inexpensive. However, it was discovered in the late ‘80s that some people had begun developing an allergy to its powder, so latex is far less popular that it once was. Neoprene, sometimes called polychloroprene, is a synthetic polymer. It is flexible, non-toxic, ozone resistant and chemical resistant. It works well as a latex substitute. Urethane, or polyurethane, is durable, stable when exposed to light and highly resilient. Epoxy exhibits the following qualities: temperature resistance, chemical resistance, mechanical strength, heat resistance and electrical insulativity. 1. The first step of the dip molding process involves keeping the vinyl or polymer in a viscous state, heating the material if necessary. 2. The molds (or mandrels) are then heated to make sure the melted plastic adheres to the mold’s surface. 3. Next, the mold is lowered into the liquid slowly to ensure the mold is evenly coated. The longer the dwell time of the mold, the thicker its wall will be. 4. The mold is slowly removed in order to maintain a smooth finish. It is important to determine the speed for dipping the product, immersing it, and withdrawing it, as speed can affect a product’s overall quality and appearance. If the mold is not removed slowly enough, the surface will not be smooth, and there will be irregularities in the product’s wall thickness. Some polymers require further heat treatment by way of an oven in order to set the mold more thoroughly. 5. The set polymer is removed from the mold and is sometimes moved on to secondary finishing. During plastic dip molded product design, manufacturers think about a few different details of the parts they plan to create. These include: dimensions, durometer ratings (hardness levels), flexibility, textures, etc. Using these specifications, they can pick out the materials and techniques to employ. Likewise, when attempting to achieve the ideal final product, manufacturers must decide on and then monitor process details including: the temperature of the material, the speed of dipping the mold in the liquid, and the “dwell time,” or the length of time the mold is immersed in the liquid. Between all of these decisions and strategies, manufacturers have a lot of freedom to customize your dip molded plastics. They can do this in a number of different ways, from custom colors to custom surface coatings. Depending on the exact process, manufacturers may use a number of different machines to dip mold your parts. Some of the most common ones are detailed below. In this oven, manufacturers preheat the mandrel or another dipping tool in preparation for the dip molding process. It often features a blower, which boosts heat transfer and air turbulence. Mandrels are metal molds used to shape the interior of a dip molded product. They are usually made from aluminum or steel, though they may also be made from other metal alloys. Once the plastic part has hardened around the mandrel, manufacturers remove it. Manufacturers can customize mandrels by mounting them directing onto a dip moulding machine arm, or by adding multiple mandrels to a bar inside a master rack. A master rack is a steel or aluminum frame. Featuring indentations or pins placed to hold adapter bars in place, this is where manufacturers hang or rest mandrels. Master racks are designed for the dip molding machine with which they work. The dip tank holds the molten polymer in which the mandrels will be dipped. The tank, or bath, often agitates to assist the process. Cure ovens dry and solidify the dip molded plastic part. They feature heaters or high temperature fans, like blowers, to speed up the process. Overhead dip stations feature two axes, a vertical axis and a horizontal axis, upon which parts, tools or racks can be moved from the machine to the dip tanks. Overhead dip stations allow for manufacturers to dip multiple mandrels at the same time. They can also perform multiple color dips or multiple grade dips. ARTS stations are machinery used mainly during rotational molding with rotary dip molding machines. They streamline the process and make it easier to load, unload and reload mandrels without having to remove the racks. They also make more space for cooling and priming metal parts. 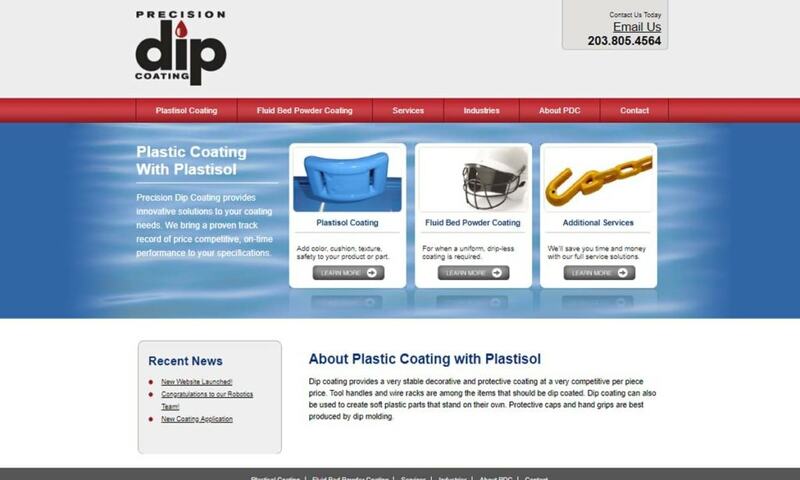 Another process used in fabricating the aforementioned plastic products is known as dip coating. Dip coating involves partially or fully coating products with a protective material. Like dip molding, the dip coating process involves dipping molds into melted plastic material. Most often, this is a plastisol coating. While dip molding creates a product from a mold, dip coating provides a protective layer on a pre-existing product. Products such as wire racks, wire forms, or plastic-coated fences are fully coated. Other items such as tool handles, grips, and electrical connectors only require a partial coating. Dip coating can be used for both protective and decorative purposes. For example, while some plastic coatings can be used for better comfort and grip, other coatings can add an element of design to the product. Depending on the technique, these plastic coatings can be made in a wide range of colors, textures, and levels of hardness. Aside from improving the product’s appearance, dip coating provides insulation and protection. For example, plastic coating can provide electrical insulation for components such as electrical wires, jumper cables, and extension cords. In addition to electrical insulation, plastic coating can be applied to fences and wires to extend their lifespan and protect them from corrosion. Also, plastic coating aids in noise reduction, vibration dampening, and it reduces sharp edges on metal parts, eliminating the need for deburring. During plastic injection molding, manufacturers use a mold and a molten polymer mixture to create a product. They force the liquid plastic into a mold cavity with a screw plunger or a ram. Inside the mold cavity, the plastic spreads until it touches all of its contours. Then, it cools and solidifies. Sometimes, injection molding also involves extra clamping in order to add compression. In this case, it’s known as injection compression molding. Manufacturers choose custom plastic injection molding for its efficiency, low cost, low wastage and durable mold product results. Blow molding is a process used to make hollow plastic parts, especially plastic bottles. During blow molding, manufacturers form molten plastic into a parison, which is a tube-shaped piece of plastic with a hole at one end. They then clamp the parison into a mold and blow compressed air into it through the hole. This pressure causes the plastic to swell until it reaches the interior border of the mold. There, it takes on its shape, cools and hardens. After it cools and hardens, manufacturers can open up the mold and eject the new plastic product. Blow molding is mostly valued for its low tooling costs and fast production rates. Plastic dip molding offers many advantages. First, it has a short lead time in creating prototypes. Second, it requires minimal tooling and is simple compared to other manufacturing processes. Because of its low tooling costs and simplicity, plastic dip molding has low setup costs. Next, the process is automated and straightforward, keeping the labor costs low and the turnaround times high. In addition, the dip molding process can create products that are highly malleable, flexible, and easy to remove from the molds, regardless of their complexity. Because of the nature of dipping and removing, dip molding does not require secondary processing. This greatly reduces material wastage. Finally, plastic coatings can make the product resistant to corrosion, wear, and scratches, as well as enabling safe and easy handling by providing a smooth and palpable grip. Plastic dip molding is a popular molding service.  For that reason, you will find that there are countless companies out there vying for your business. While competition can help you get better prices, it can also create an overwhelming number of choices. Among those choices are some good and some not-so-good manufacturers, and you may find it hard to discern which ones are which. To help you out, we’ve curated a list of industry leading dip molding service providers that you can trust. When you’re ready, take some time to browse their profiles. As you do so, keep in mind your specifications and requirements. From among our list, choose three or four plastic product companies to whom you’d like to speak. Then, reach out to each of them to discuss your project. Don’t forget to go over your budget, timeline, standard requirements and delivery preferences. Once you’ve done that, compare and contrast their answers. Choose the provider that you believe will provide you with the best service and the best products. Good luck!